This is still a very good time to be in real estate, especially against the backdrop of years not too far behind in the rearview mirror. But it’s always important to look to the future. Almost certainly, the two most robust residential markets in the foreseeable future will remain millennials and baby boomers. As a real estate professional, it may be tempting to try conquering both of these markets but the smart money is probably specializing in one or the other. This article covers trends in the baby boomer market. Baby boomers are doing it one last time — changing the landscape of society. 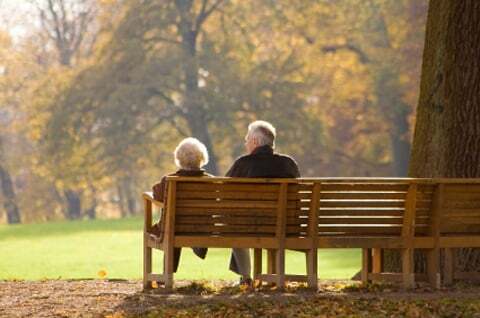 As the 77 million boomers continue rapidly moving into retirement, it’s no longer your great grandfathers’ retirement community. Today’s seniors are more diversified and more active.They continue to be active both physically and mentally. Senior communities are being forced to move away from simply keeping older people occupied to creating life enrichment activities that boomers are demanding. This needs to be done in an economical manner because the average boomer is about $500,000 short for the lifestyle that they wanted in retirement. Because of the monetary short fall, more and more seniors aren’t completely retiring. Instead, they are moving into a semi-retired lifestyle. On average, seniors working from home earn between$9 and $30 per hour. The bottom line is that senior housing facilities are gravitating towards accommodating part time working seniors. Another change is offering lifetime education and self-improvement services. While there are stereotypes that older workers are not tech savvy, studies show that many older workers have kept current with technology. Beyond that, these studies show that older workers can still out perform younger workers based on better skills involving organization, sense of responsibility, cooperation with colleagues, and more empathy towards clients. There will be an ongoing demand for the work services of our aging generation. The old retirement and nursing home concepts are fading into the past. The new concept for retirement housing is becoming Continuing Care Retirement Communities (CCRC). These are facilities designed around allowing the elderly to progress from an active lifestyle to an assisted living lifestyle, to a full nursing home atmosphere without having to relocate in their later years. These communities are being designed so that seniors can continue living independently and progress into assisted living as their needs change. Eventually they can move into skilled nursing care accommodations when required (within the same independent neighborhood they are familiar with and have friends in). What today’s seniors are looking for are senior housing options that include independence, choice, and social networking. As time passes and their health deteriorates, they want access to progressive care as needed within the same community. Being close to outside medical facilities is a big bonus. The evolution to the CCRC model is partly due to baby boomers not wanting to lose their freedom as long as they are mentally and physically able to continue taking care of themselves. These communities offer a combination of single-family housing, condominiums, and rental apartments. Often, newly retired or semi-retired people first move into a smaller single family home and take care of all of their own needs while still having the security of on-campus assistance if needed. As times and requirements change,they move into easier to maintain housing arrangements providing needed services. Often apartments or condominiums. The costs of these arrangements come in three broad contract terms. One is a fully paid lifetime services contract that often costs a million or more. Another is a progressive plan when the costs increase as more services are needed. These are packaged plans that often pre-pay for services not immediately needed but will be available in the future. The third is a cost-for-service plan that pays for only the services needed at the time. This can include a cost for medicine maintenance that costs for each medication the person is taking. For most people, there is no ironclad way of determining the most cost effective plan unless they know with reasonable certainty how long they will live in retirement and what future services will be needed. Whether you are a baby boomer entering your retirement years, the adult child of a baby boomer looking to assist them, or an investor interested in the retirement housing market, keep your eye on this new market the 77 million baby boomers are now redefining. Senior living communities that include golf courses, tennis courts, stand-alone homes, etc. require abundant space that tends to drive them into the suburbs. What some investors are now asking of developers are accommodations that can easily and inexpensively be converted from independent living to assisted living to nursing care as this population continues aging. Another version adapts inner city structures into full service, last stop facilities. One example is Queen Anne Manor in Seattle, a 93-unit assisted living and memory care (dementia) property. Originally built in 1908 as a children’s hospital, the building has undergone extensive remodeling at a prime inner-city location. With two floors dedicated to memory care, units average about $400,000 (2016 dollars). What many investors are shying away from are single service models such as only offering assisted living. While there is plenty of room for growth in this expanded sector, other astute investors are avoiding over developed areas such as Florida, Texas, and Southern California. Please comment with your senior community thoughts, experiences, or if you have a question. Also, our weekly Ask Brian column welcomes questions from readers of all experience levels with residential real estate. Please email your questions, inquiries, or article ideas to askbrian@realtybiznews.com. Author bio: Brian Kline has been investing in real estate for more than 35 years and writing about real estate investing for12 years. He also draws upon 30 plus years of business experience including 12years as a manager at Boeing Aircraft Company. Brian currently lives at Lake Cushman, Washington.A vacation destination, a few short miles from a national forest. With the Pacific Ocean a couple of miles in the opposite direction.